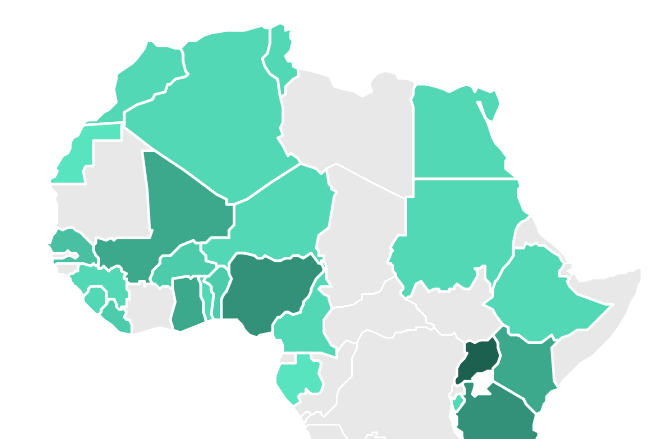 To protect the privacy of individual survey participants, those who wish to access the respondent-level data must request access from Afrobarometer and comply with their data use policy. BenYishay, A., Rotberg, R., Wells, J., Lv, Z., Goodman, S., Kovacevic, L., Runfola, D. 2017. 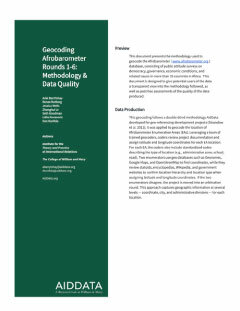 Geocoding Afrobarometer Rounds 1 - 6: Methodology & Data Quality. Williamsburg, VA. AidData. and local perceptions of and experiences with various forms of corruption.